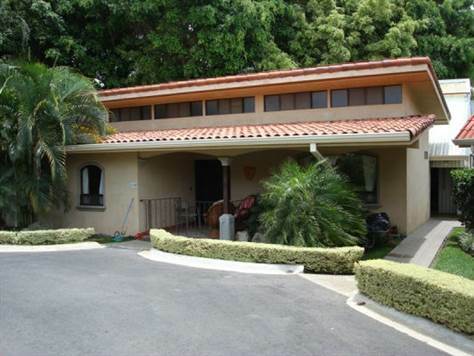 Tamarindo, Guanacaste - This property is located just 10 km from Tamarindo Beach and 7 km from Playa Avellanas. 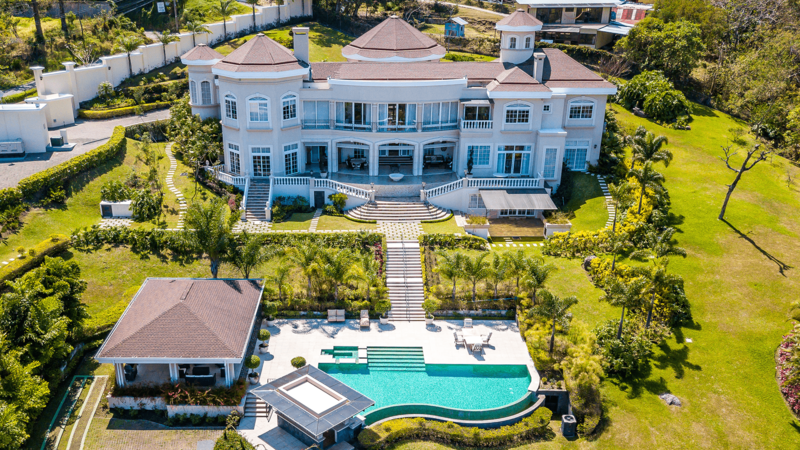 It has an area of extension of 77 hectares (190 acres) and is by adding the property to 6 hectares more for which would be in selling a total of 83.7 hectares. At the intersection of the road that goes toward the Mega Resort Hacienda Pinilla and Playa Tamarindo, in San Jose Pinilla, in front of the bar La Media Vuelta. A really good investment property for developing a successful business in one of the most attractive beach areas, visited by thousand of tourists every year. 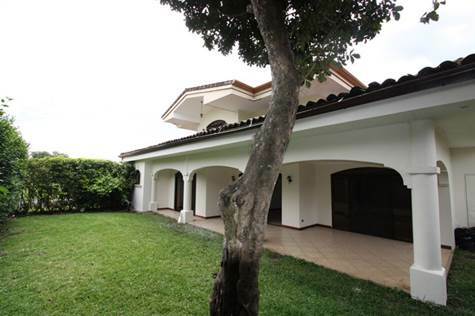 This property is neighboring with Mega Resort Hacienda Pinilla, a well known project with 1,800 hectares of land. It is precisely this Mega Resort has brought a series of infrastructure developments such as the road to the area, as this stretch improves access to the beaches Langosta, Tamarindo and Avellanas, as well as the Las Baulas National Marine Park. It includes Megaresort JW Marriot Hotel with tennis and Golf Hotel La Posada INN. In this Mega Resort is a Hotel JW Marriott with Golf Courses and La Posada Hotel INN. 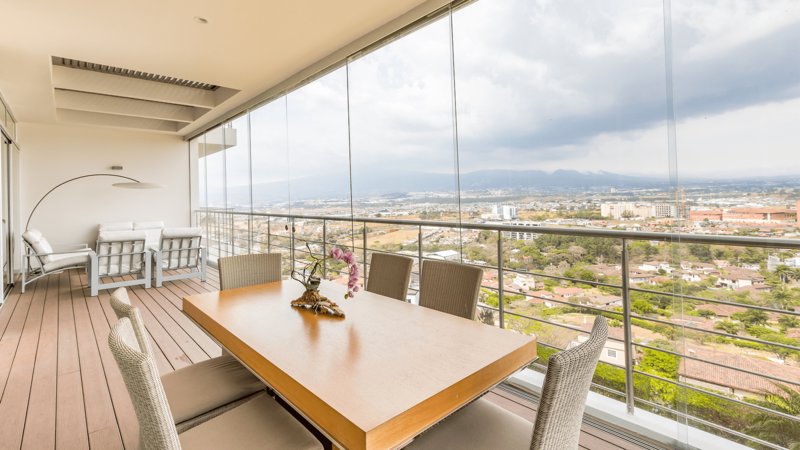 In front of this property is developing a project called Hotel Las Palmas of 13.5 hectares in which in addition to the above hotel is being promoted for residential condominiums where there is a large population of foreigners in the area. This property has at least 6 hills which allows you to get an incredible view of the ocean, displaying beaches like Playa Avellanas, Playa Tamarindo and Playa Langosta. Free of liens, it has land usage permit (residencial and commercial) and it is local goverment taxes free. 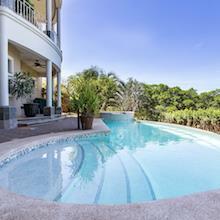 Tamarindo, Guanacaste - Announcing a price reduction on Impressive Unique Land, a lot / land. Now $95,000,000 - . • 55 sq. m., 1 bath, 1 bdrm single story - MLS $120,000 - Excellent location! Escazú, San José - This affordable and well built home is located in Escazu, Eurohabitat Condo one of the biggest and most traditional neighborhoods in San Jose, the house is part of a big, secure and well maintained gated community. Just a few minutes away from the Super markets, bilingual schools, shopping stores and all prime amenities that Escazu has to offer. This home has 3 bedroom and 3.5 bathrooms in total, also has and spacious living and dinning room, a tv area, the master bedroom has walk in closet and jacuzzi, the other bedroom one bathroom, this gated community has swimming pool and play ground where your kids can enjoy safety. THIS PROPERTY IS CURRENTLY RENTED BUT STILL AVAILABLE FOR SELL. FOR RENT $2,000USD. Escazú, San José - Escazu is located on the West side of the city, just 10–15 minutes away from the center of San Jose, and just 20 minutes from the Juan Santamaria Internationl Airport. With the new highway connecting the city to the beach, you can now make it to Jaco or Puntarenas in one hour! 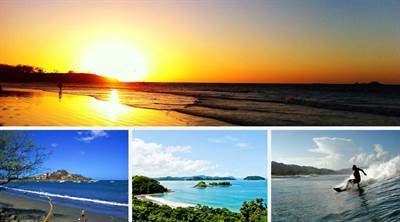 Escazu is also referred to as the Hollywood of Costa Rica. 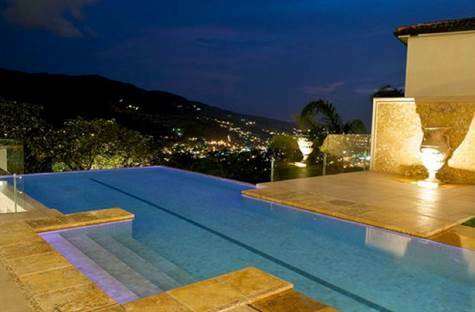 You can find properties as low as $100,00 and up into the multi-million dollars. Its beautiful rolling green hills, spectacular views, comfortable weather, and commodities of life are a few of the reasons that make this area so desirable. 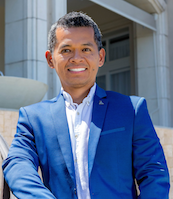 Due to its increasing growth and development, you can now find Costa Rica's best state of the art hospital (Cima), the most renown international school (Country Day School), the largest mall in the country (Multiplaza), and the nicest country club in Central America (Costa Rica Country Club). You will also find many restaurants, shopping, banks, and commercial and office centers. There's even a new 3D Imax theater! • 1,550 sq. 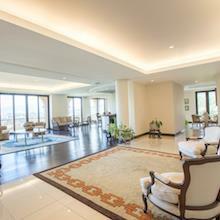 m., 7 bath, 5 bdrm 3 story "Private Elevator" - MLS® $3,900,000 - A REAL DIMOND! 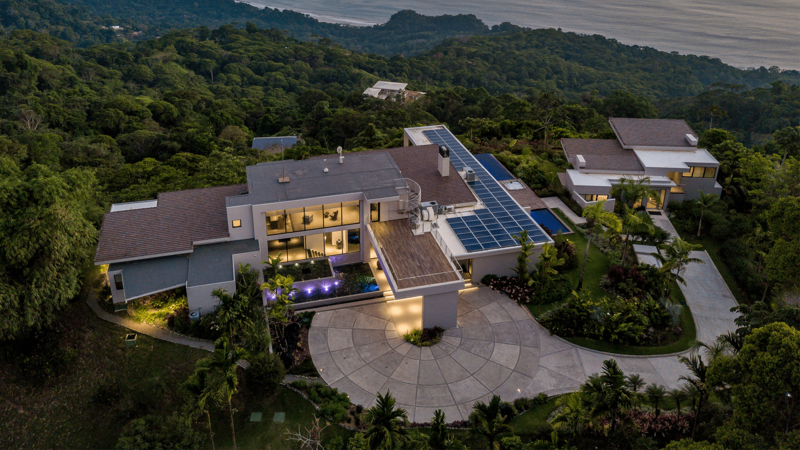 Escazú, San José - This Unique and exquisite Estate Home represents one of the most luxurious properties ever built in Costa Rica, with a beautiful mediterranean style, this home has everything one can imagine, just for the most demanding and wealthy clients. 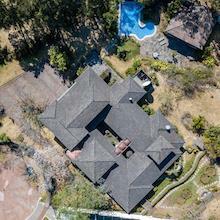 This incredible home is part of one of the most exclusive gated communities in the central valley, the property has privacy and easy access to the best amenities in Escazu and Santa Ana towns and easy access the highway to go any of the airports or to just drive to the beautiful pacific beaches. 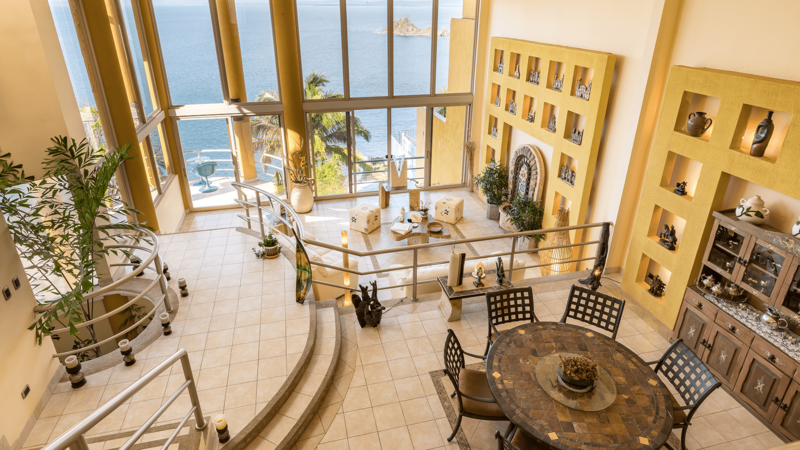 This opulent exquisite home has sublime architectural details in every room and most of the areas of the house, Endowed with Fine wood, marble, stone floors, vaulted ceilings & the most quality doors and accessories throughout the building. 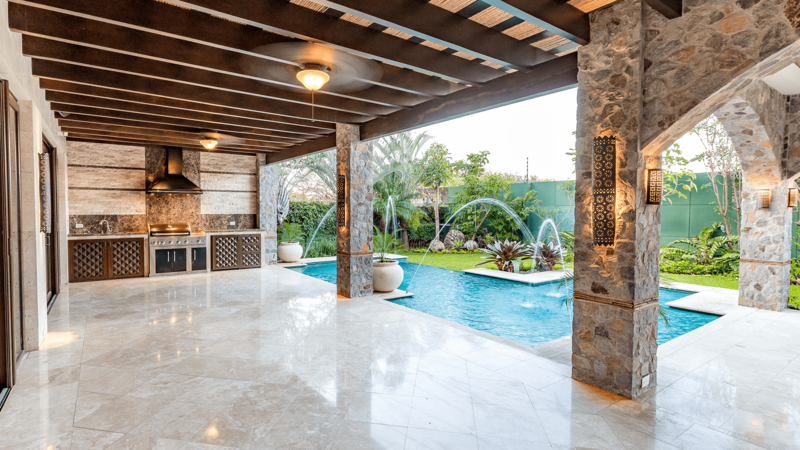 Picturesque beautifully design landscape and bestowed with entertainment area, cinema theatre , resort-style pool, lap pool, BBQ areas & fountains. Each bedroom in the house has it's own bathroom, walk in closet and privacy. Truly magnificent unique home for the most demanding clientele. 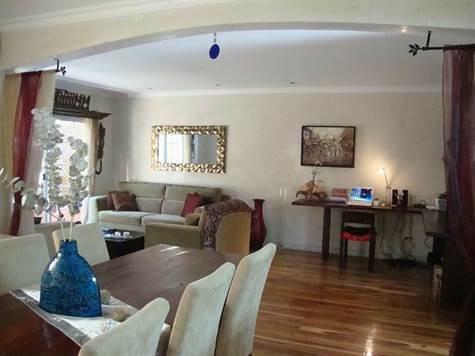 Santa Ana, San Jose - This single story home has two bedrooms, two bathrooms, home office, living room wall / entertainment center along with a built in office and a semi-private terrace. In addition, it has a vaulted ceiling in the “great” room and two skylights. The covered entrance way is suitable for two chairs located next to a covered garden area. Once through the impressive front door, you enter the “great room” which houses the kitchen, dining room, office and living room. Upon entering, there is a built in wooden hutch surfaced with granite, it matches all the built-in furniture in the great room. There is a laundry off the 2nd bedroom which has side-by-side washer and dryer. Jaboncillo, Escazú - This unique and Luxury loft is located in Escazu, in one of most exclusive areas, from this place you are close to the first class amenities that Escazu offers such as first class restaurants, supermarkets, shopping stores and many more, this loft has a beautiful panoramic view of the central valley and mountains, this loft also has 24/7 security, garden area and laundry room. 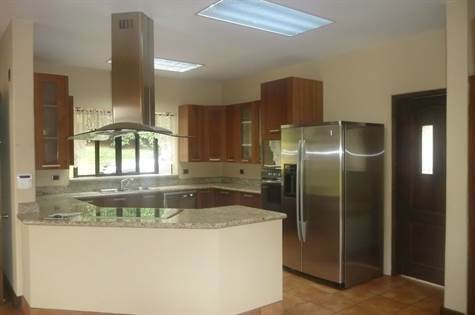 This home is very close to schools like Coutry Day School, Blue Valley and few minutes away from CIMA Hospital.